For authors with similar names, see Author:George Bush. 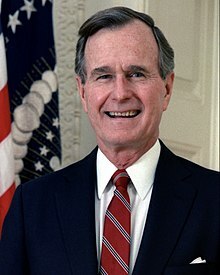 41st President of the United States (1989–1993); 43rd Vice President (1981–1989); father of 43rd United States President George W. Bush. This page was last edited on 20 May 2018, at 06:32.